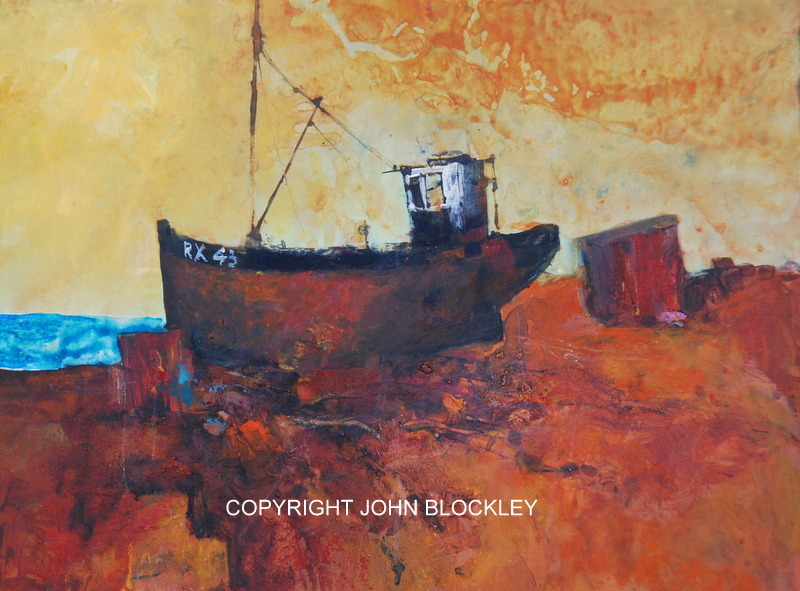 I have spent the morning packing up copies of John Blockley- a retrospective. It is the new book that I have compiled about my late father’s life and work, published by Batsford. Publication date is actually July 5th but my advance copies have arrived and box loads have gone off to the post office in the back of my husband’s truck to begin their journeys around UK and as far as New Zealand , Canada and USA. It is a really exciting moment for me because this is a last stage in a long cherished project. He died in 2002 so the world is a very different place now but somehow the images he produced with such integrity and passion are as fresh and meaningful as ever. I am glad that I have had such warm feedback from people saying that it was a lovely way to honour my father and give back . He has been a massive inspiration to me and many other artists around the world and his influence has been incalculable. I am really proud to have been able to put this book together showing the many different subjects, mediums and ways of interpreting that he progressed through as his work changed and developed over forty years of painting. 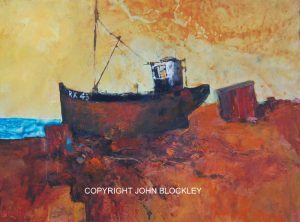 As an untrained artist, who only became a full time painter in his fifties, his story is as inspiring as the paintings themselves. If you wish to receive Ann's occasional Newsletters by email please enter your details below. Ann will only ever send Newsletters, will hold your information securely and will never share it. You may instruct us to remove your details at any time. PLEASE NOTE: Original paintings cannot be sent in the same shipment as books and DVDs. Please place a separate order for these.